Sometimes it can be difficult to find furniture that all match in looks perfectly. 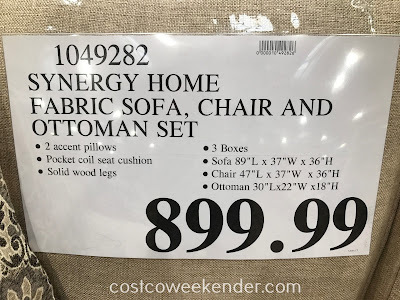 That's why it makes sense to get the Synergy Home Furnishings Fabric Sofa, Chair & Ottoman Set. 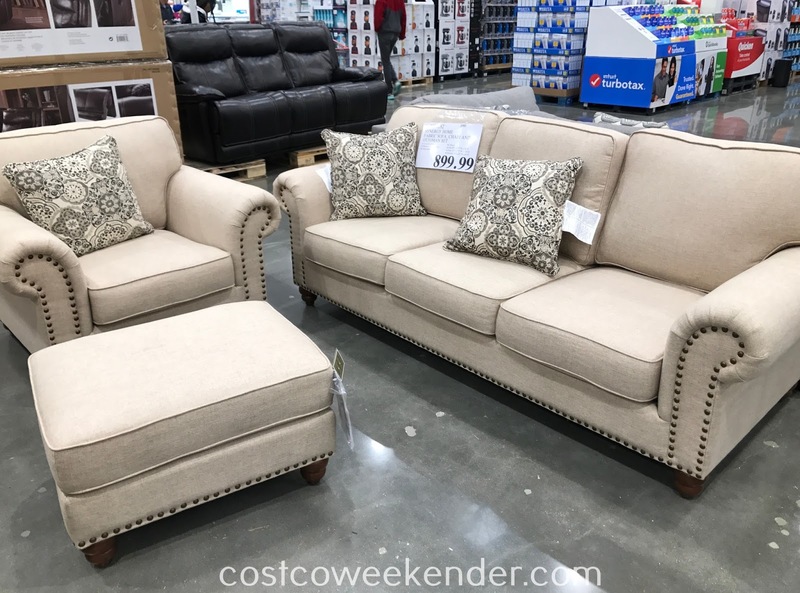 HOw often do you see a set that includes a couch with a matching chair and a matching ottoman? Hardly ever probably. This set allows you to not have to worry about mismatched furniture which definitely makes furnishing your living room or family room that much easier. 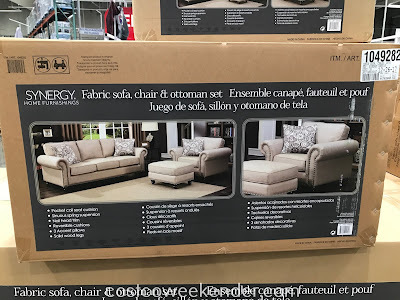 Synergy Home Fabric Sofa, Chair & Ottoman Set allows you to sit or lay down and take a nap on the couch. The chair is a great spot for you to watch tv or read a good book. You'll love the overall look and feel of the Synergy Home Fabric Sofa, Chair & Ottoman Set, so do yourself a favor and check it out. Good morning! Yes, the smell will subside – it typically takes about a week for the smell to dissipate. If you are able to blow a fan or ceiling fan on the sofa, that will expedite the process. We truly appreciate your business and if you ever need any assistance, please do not hesitate to contact us.